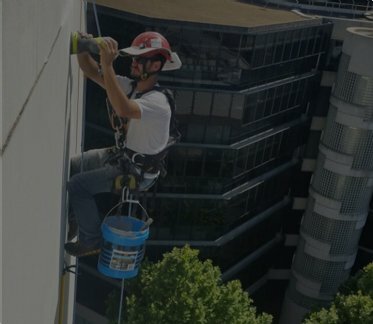 By using industrial rope access techniques instead of expensive scaffolding, we provide the safest, most innovative & cost effective painting,Remedial & cleaning services. Make the intelligent choice for your property. Sonaa delivers a full suite of maintenance services for Sydney’s high rise buildings, helping companies across the construction, hotel and retail industries get the support they need. Using highly skilled technicians, the safest practices and the latest technology, we deliver an exceptional quality of service for properties of all sizes. Working across the Sydney metropolitan area, we’re equally capable of working on residential, commercial, industrial or civil properties, making us the flexible, versatile choice for buildings and structures of every description. Make the right choice for your organisation and choose the experts at Sonaa. And we do not subcontract the job. At Sonaa Abseiling Service we work hard to satisfy our customers. We are providing perfect customer service with every job we undertake, and we will do all we can to ensure your complete satisfaction. Ensure your building receives the maintenance it needs throughout its lifecycle with help from Sonaa. We are proud to offer a comprehensive range of services including painting, façade and window cleaning, water proofing and remedial repairs, helping to preserve the aesthetic and financial value of the structure. We pride ourselves on developing tailored solutions for each and every property. To ensure you’re getting precisely the service you need, we invite you to take advantage of our free quotes. One of our skilled technicians will visit your site and will conduct a thorough inspection, letting you know what needs to be done to restore your building to its former appearance and functionality. Protect your building from the elements and preserve one of your company’s most precious assets with our help. Choosing Sonaa means choosing the professionals. Our technicians are chosen for their experience, their qualifications, their knowledge of industry safety regulations and their dedication to always delivering the most thorough, responsible work. You and your company will benefit from our years of experience and our dedication to delivering the best possible customer service each and every time. Start a conversation with Sonaa today and discover why body corporates and property owners across Sydney choose us to care for their assets. Contact us on 04 4917 8470 or send us an email at info@sonaa.com.au and we’ll get back to you as soon as possible. 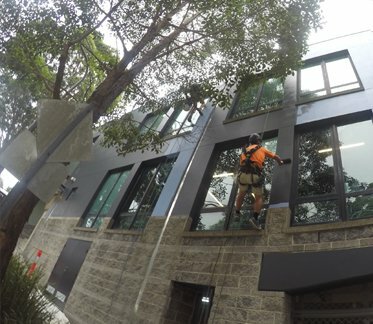 Here at Sonaa, we offer high rise Window Cleaning services, repairs and Painting to clients in Sydney. We offer a full suite of maintenance services with our experienced abseiling team on hand to address all your maintenance needs. We specialise in assisting companies that operate in the construction, hotel and retail industries and can give all the help and support that they need with their building maintenance in Sydney and the surrounding areas. Our highly skilled technicians have been providing rope access maintenance in Sydney and always adopt the safest practices and use the latest technology to complete the tasks. We can guarantee that we deliver exceptional quality for all properties regardless of their size. This is an unbeatable service that our competitors can only try and aspire to. 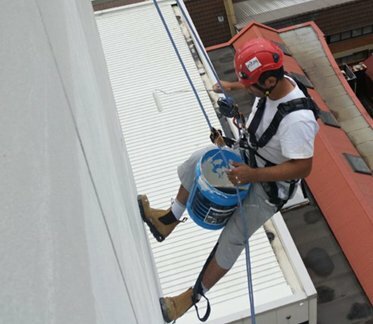 We are working all across the Sydney metropolitan area offering our high rise Painting, maintenance and Window Cleaning services to residential, commercial, industrial and civil properties. As you can see by our various client reviews we are regarded as being your flexible, versatile choice for high rise buildings and other structures in Sydney so we would encourage you to make the right choice for your home or organisation. Here at Sonaa, we are experts in our chosen field and we work hard to ensure that our abseiling services satisfy all our customers’ needs. 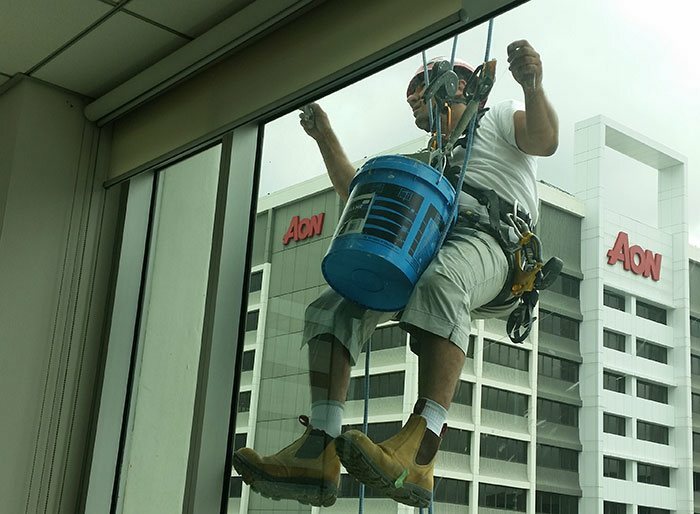 Our rope access maintenance in Sydney is designed to ensure your building receives the maintenance it needs throughout its lifecycle with help from Sonaa. We are proud to offer a comprehensive range of services including Painting, façade and Window Cleaning, Water Proofing andRemedial repairs, helping to preserve the aesthetic and financial value of the structure. Choosing Sonaa means choosing professionals. Our technicians are chosen for their experience, their qualifications, their knowledge of industry safety regulations and their dedication to always deliver the most thorough, responsible work. You and your company will benefit from our years of experience and our dedication to delivering the best possible customer service each and every time. Our easy to understand quotes will ensure that you understand exactly what you will get when employing our services. 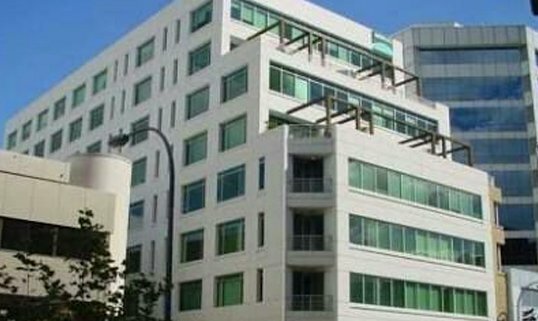 If you would like more information about our high rise Painting, Window Cleaning and maintenance services in Sydney we would invite you to call us on 04 4917 8470 or email us on info@sonaa.co.au or alternatively, contact us through our website. We look forward to hearing from you if you need services such as Painting,Remedial, Water Proofing and cleaning for commercial, industrial, residential buildings especially high rise ones.